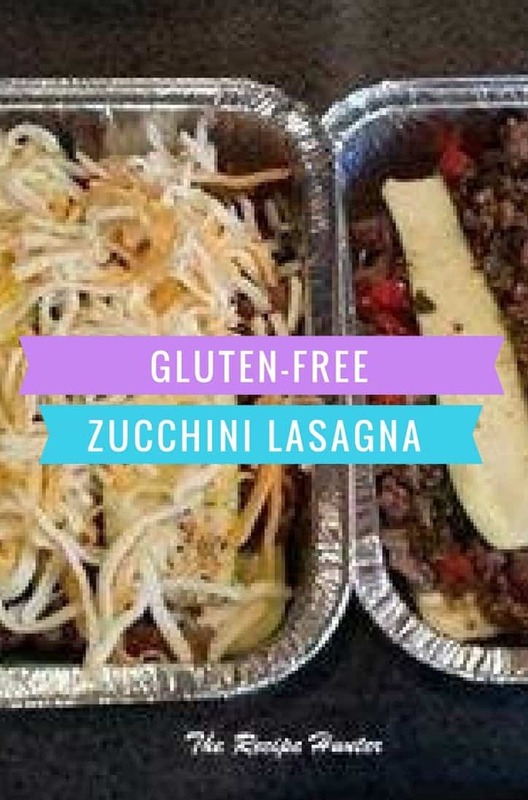 Replace the lasagna noodles with zucchini and create a delicious, lower carb (gluten-free) lasagna loaded with vegetables, and you won’t miss the pasta! NOTE: Use whatever vegetables you have available and also the quantities can be adjusted as you wish, as it’s very versatile and none of my batches will ever be the same as the previous one as I use a recipe as a guide and then make my own version which has no resemblance to the original one I started with. In this particular instance I had zucchini, mushrooms and kale I had to use, then looked at ground beef recipe to incorporate all I had on hand. In a large pan, cook ground beef until it’s browned, and drain fat if it’s too fatty. Add Veggies, Seasonings & tomato and onion mix. Bring to boil and then simmer for ±10 minutes, or till cooked through and you’re happy with it. ½ cup shredded Mozzarella Cheese to add at the very end as topping. Prepare two tinfoil containers, (or one large one), big enough for your dish. (I usually end up with a different volume each time, as I use whatever I have in the fridge). Place ½ the Meat mixture in the bottom of your dish, then some zucchini slices and then the Cottage Cheese mixture, and top with remaining Meat and Zucchini slices, and lastly add the Mozzarella cheese. This time, I prepared it in two smaller tinfoil containers as I want to freeze it. Defrost in fridge overnight and then bake as follows: Cover with foil and bake at 375 degrees F for about 45 minutes. Remove foil and bake/broil for about 5 minutes.